There are only a hand full of micro servos under 5 grams that perform great under load with accuracy. With a little bit of research and trial and error, here is what i have found. 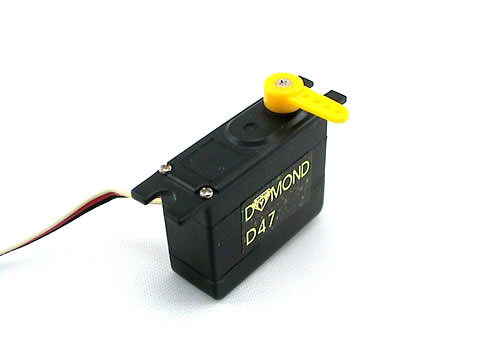 Diamond D47 weigh around 4.7gram and are called to be “Professional micro Servos” the best sub 5g servos in their class. No gear slop, perfect centering, and weighs only 4.7g. The good news is, in fact these D47’s are light weight, and produce a whopping 15 oz of torque. But its downfall is its speed, at only .14 seconds. Some might not care for the speed of the servo, maybe if you’re using it for the aielorns on a 3D foamy. I personally always pack my elevator and rudder servos with .10 second servos, for snap rolls and quick inverted flips. Its to bad these diamond servos are slow, but they would be perfect for slower flying 25″ planes. O ya these servos are not cheap, you will spend around $24 for one servo. Here are the specs of the Diamond D47. Clever side channel for servo cable. These blue Birds BMS-308BB are amazing servos, at only $10 a piece, you get a great servo that is super light weight, high in torque for any application and super fast at .10 sec. The only flaw i found in the blue bird servo is that it has allot of play at idle, might be ok for foam planes but not bigger planes. The speed also felt .12 rather then .10sec, so keep that in mind. 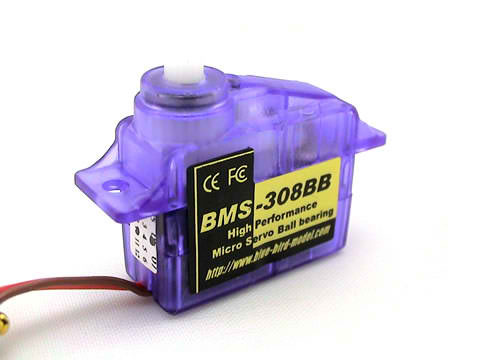 Here are the specs for the BMS-308BB micro servos. In conclusion, if you are building a super light weight 3d plane or any other plane that has speed and is aerobatic, go with these servos above. Keep note, these servos are high in torque which provide accurate servo arm movement at command with no lag. There are cheaper alternatives to micro servos 5 grams or under such as the HXT500 at a great price of $3.49 but its torque is 0.8 kg-cm or 10.4 oz very slow for 3d planes, but great for slower flying micro or mini planes.